December 27, 2016 – Renowned astrophysicist and National Medal of Science awardee Vera Rubin passed away in Princeton, New Jersey, the evening of December 25, 2016, at the age of 88. Rubin confirmed the existence of dark matter -— the invisible material that makes up more than 90% of the mass of the universe. 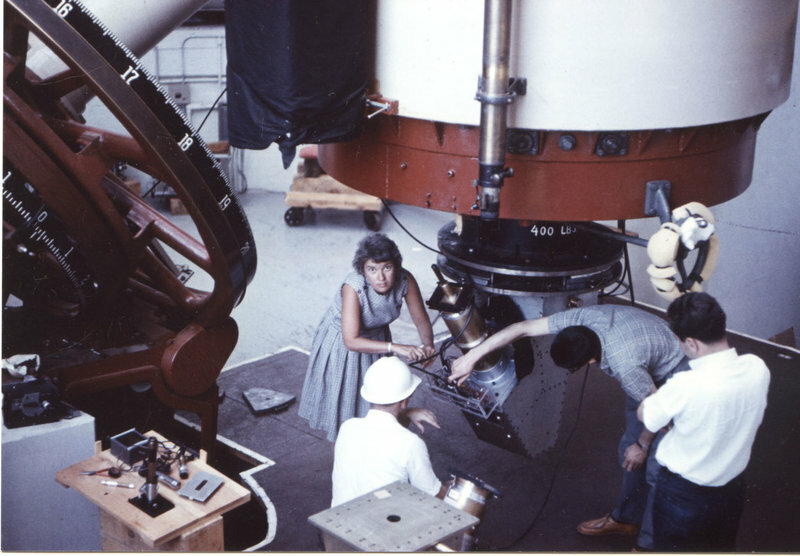 She was a retired staff astronomer at the Carnegie Institution’s Department of Terrestrial Magnetism in Washington, D.C. In 1993 Vera Rubin received the National Medal of Science -— the nation’s highest scientific award. She was elected to the National Academy of Sciences in 1981, and in 1996 became the first woman to receive the Royal Astronomical Society’s Gold Medal since Caroline Hershel, who was awarded the prize in 1828. Rubin’s husband Robert J. Rubin, a mathematician and physicist, died in 2008. The couple’s four children all acquired Ph.Ds. in the sciences or mathematics: David Rubin is a geologist; Judy Young, who died in 2014, was an astronomer; Karl Rubin is a mathematician; and Allan Rubin is a geologist.